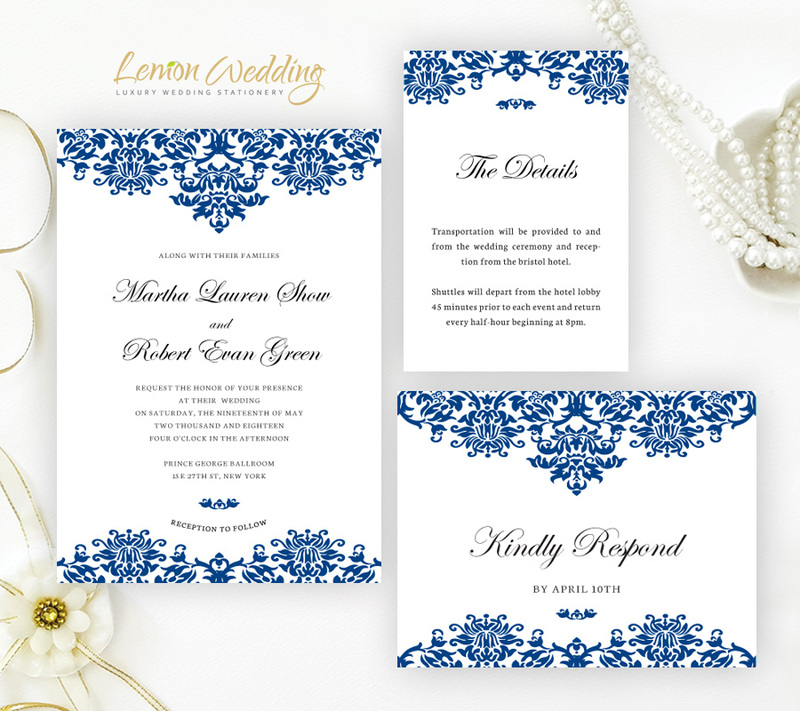 Our Damask Wedding Invitations are just what you need to tell everyone they’re invited to your elegant wedding ceremony. 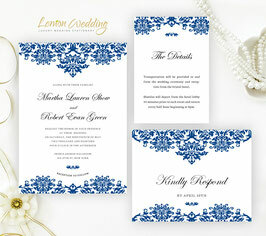 This wedding invitation sets will display your nuptial details surrounded by royal blue damask. Printed on premium paper 110 lb. 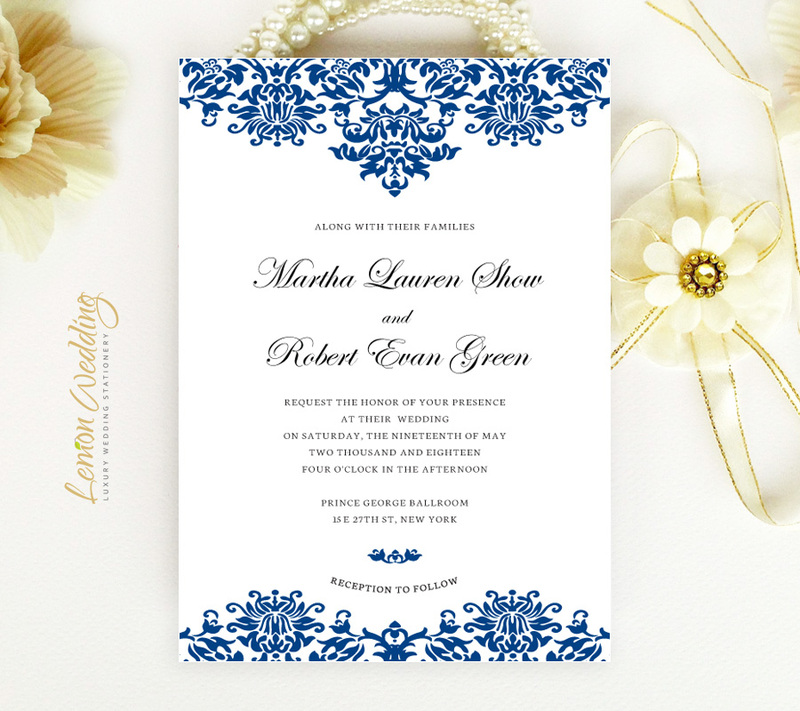 Select the number of cards you need at checkout page (minimum order is 40). 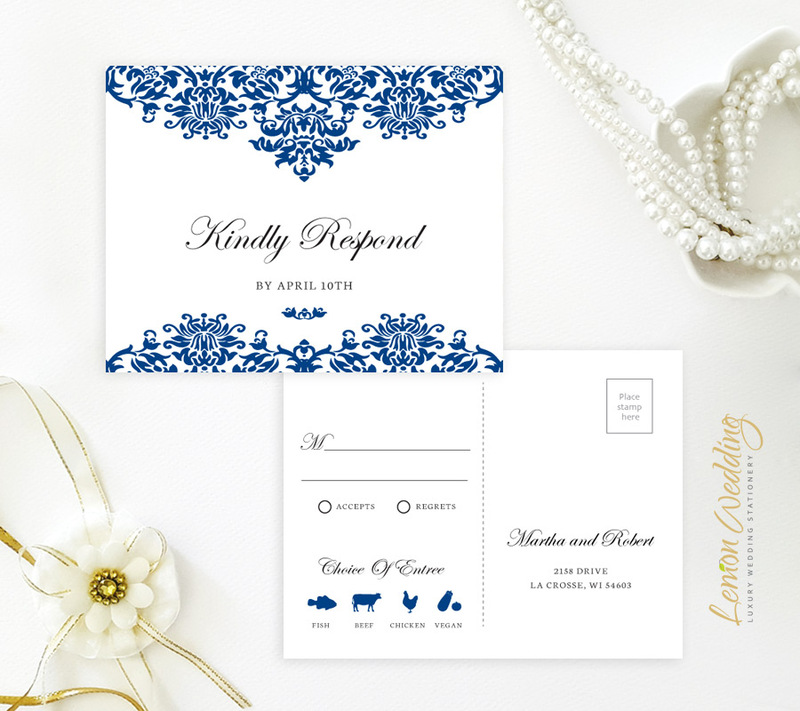 Provide your wording for both cards in the personalization box.